Vivanta by Taj Bentota is situated in Bentota next to one of the most beautiful beaches in Sri Lanka, known as Paradise Island. This contemporary Sri Lanka hotel boasts a plethora of onsite facilities, as well as being close to many exciting excursions suitable for the whole family. Chill by the pool and sip on cocktails, head to the beach for a game of volleyball, or try your hand at surfing or scuba diving. Retreat to the spa for a relaxing treatment including massages and body scrubs, or keep fit in the gym and reward yourself with a steam in the sauna or Jacuzzi to finish. 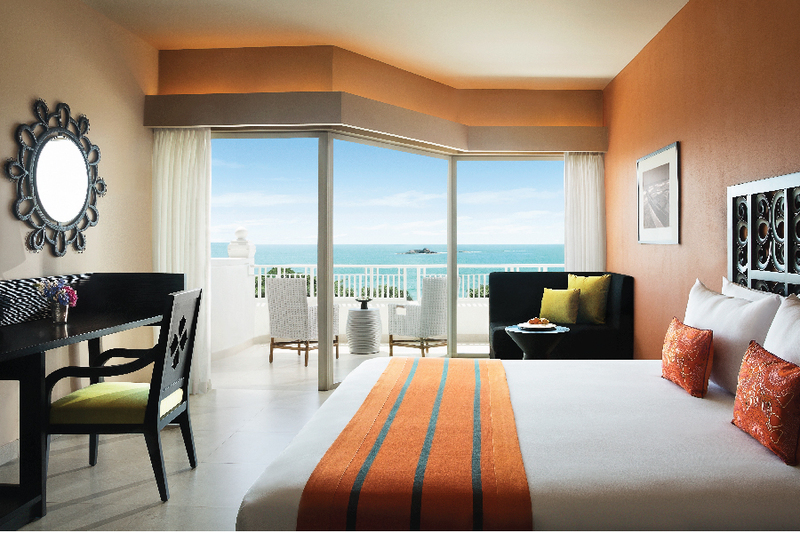 Unwind in your tranquil guestroom and sit out on your private balcony that overlooks the lush gardens and Indian Ocean. Enjoy added touches such as bathrobes, an LCD television, iPod docking station, and fully-stocked minibar. 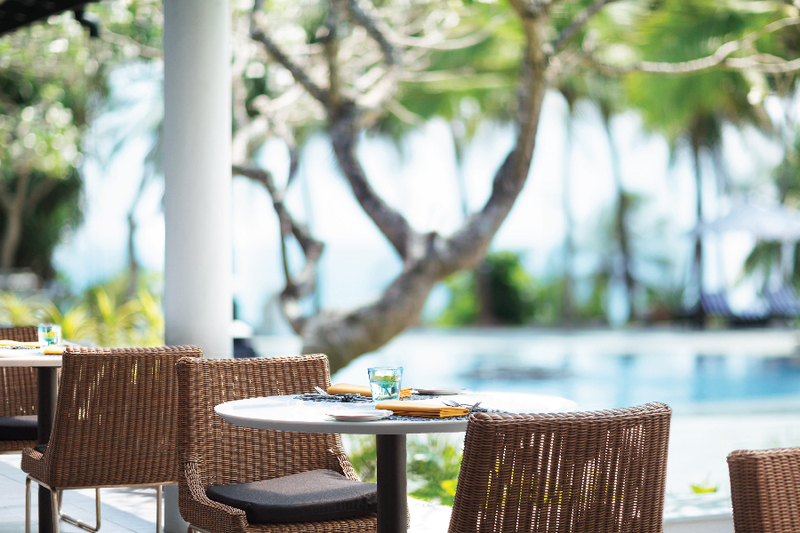 Admire stunning ocean and pool views as you indulge in a variety of culinary experiences with Chinese, Indian, Sri Lankan, international, and continental flavours. Sip on cocktails at Tease bar and dance the night away to a live band. 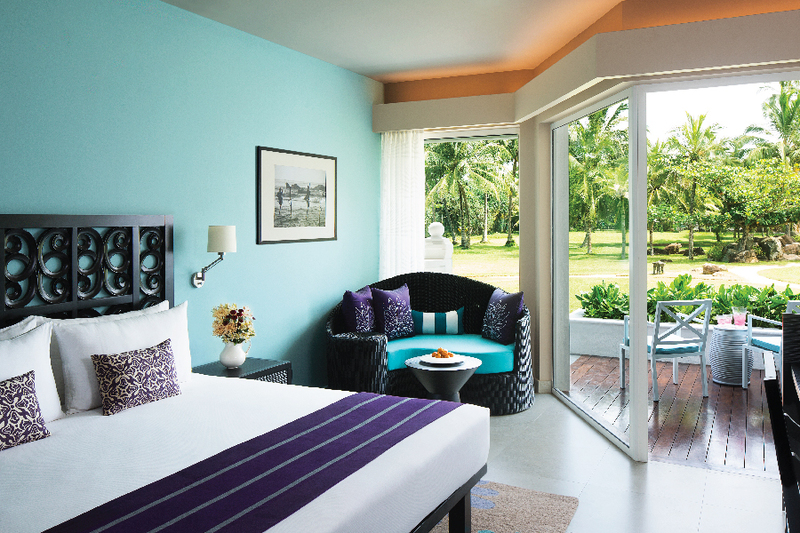 Discover why Vivanta by Taj Bentota is a favourite place to stay in Sri Lanka. Vivanta by Taj Bentota has abundant facilities, including: outdoor swimming pool, children’s pool, terrace, four restaurants, poolside bar, bar/lounge, full-service spa, nightclub, arcade/games room, garden, picnic area, fitness facilities, library, babysitting/childcare services, concierge services, shopping onsite, computer station, tours/tickets assistance, luggage storage, and laundry facilities. 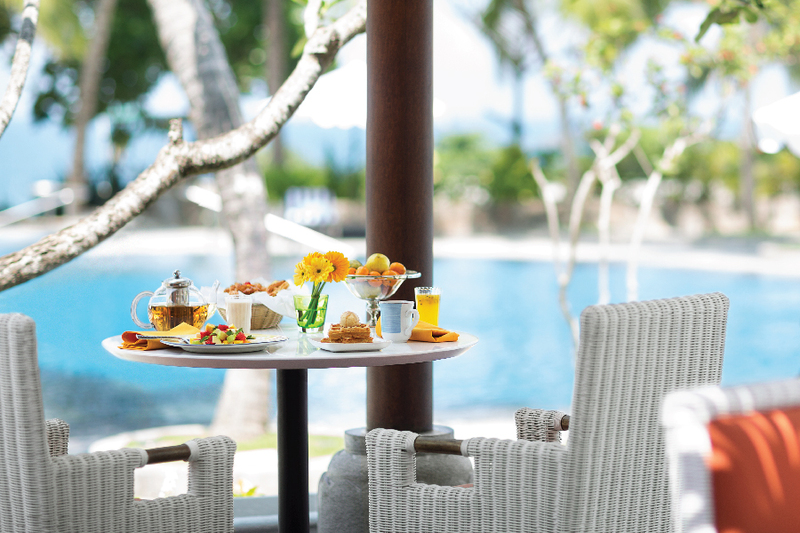 For breakfast, head to The Palms and enjoy stunning pool views as you tuck into Indian, Sri Lankan, and a range of international delicacies. Choose from a buffet or let the chefs inspire you with their daily specials. 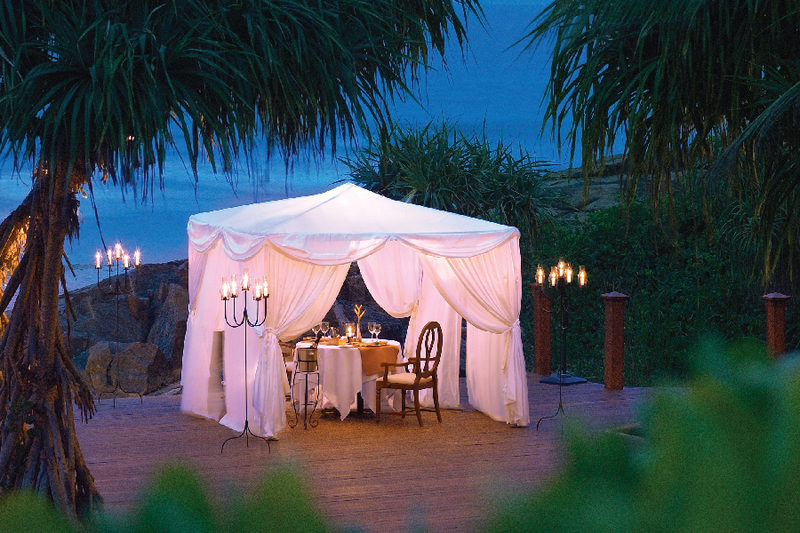 In the evening feast on fresh food in an intimate atmosphere at Seaview, considered one of the best restaurants in Sri Lanka. The outdoor dining creates a tranquil ambience as you indulge in a wide range of continental cuisine. Taste the freshest catch of seafood at S.H.A.C.K which offers appetising dishes including grilled king prawns. If you fancy some authentic Chinese food then look no further than Oriental Pavilion and tuck into crispy spring rolls amongst other cultural delicacies. As the sun goes down and you’ve filled yourself up with delicious dishes, head to Tease and enjoy a variety of cocktails and snacks whilst listening to live music. The bar offers a lively nightlife experience and serves international spirits. Take a refreshing dip in the outdoor pool whilst the kids enjoy splashing in their own pool. There’s no need to worry about letting your fitness regime slack, as the on-site gym includes all of the latest fitness equipment. Afterwards, the sauna and steam room are waiting for you to relax. Also, the spa includes a number of body scrubs, wraps, Indian therapies, aromatherapies, and massages to treat yourself. On-site activities include tennis, billiards, table tennis, darts, beach volleyball, and an abundance of water sports. 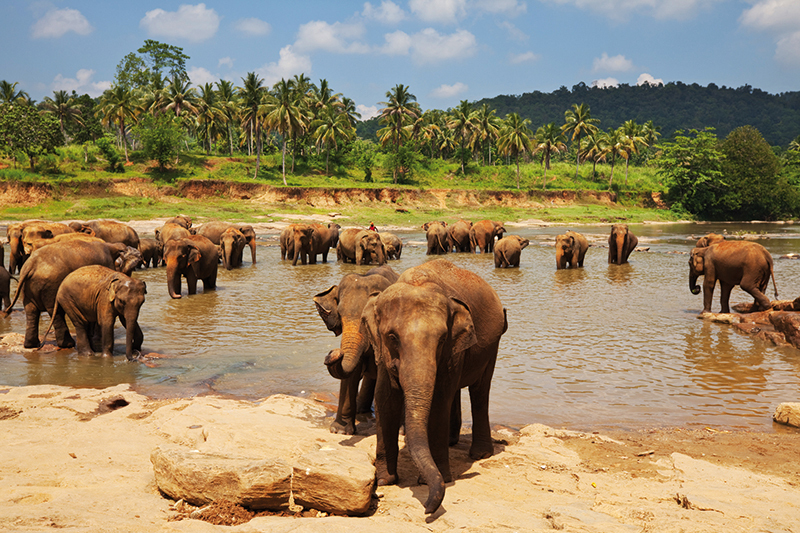 You'll also discover a wide range of excursions on offer including seeing the conservation of endangered turtles at Kosgoda Turtle Hatchery, admire the 17th century UNESCO World Heritage Site Galle Fort, see the elephants at the Pinnawela Elephant Orphanage, or set off on a relaxing boat safari and admire views on a Madu River Cruise. The following are also available nearby bicycle hire, boat tours, surfing, boogie boarding, scuba diving, waterskiing, and kayaking. 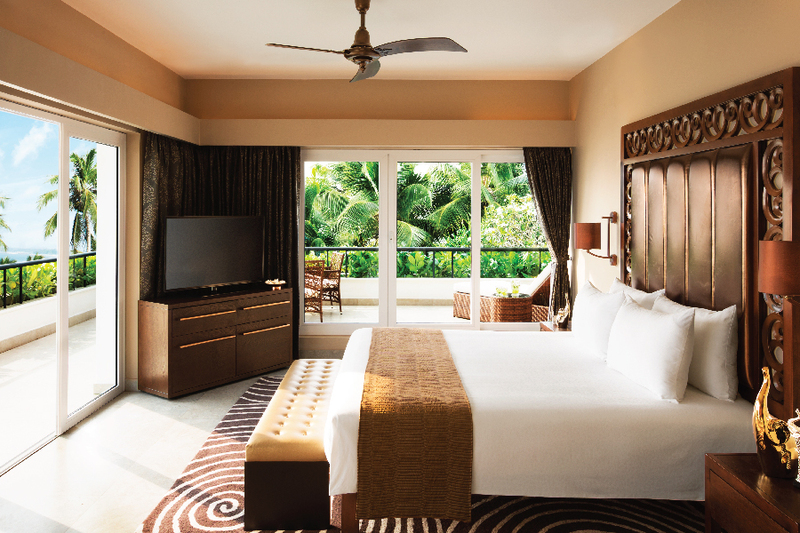 Vivanta by Taj Bentota has 160 rooms and suites, ranging from Superior Charm, Deluxe Delight, Premium Indulgence, and Deluxe Allure Rooms through to Premium Temptation and Presidential Suites. Superior Charm Rooms feature blackout drapes, complimentary bottled water, LCD television with premium channels, complimentary newspaper, designer toiletries, iron/ironing board, fridge, bathrobes, desk, air-conditioning, iPod docking station, coffee/tea making, balcony/patio, safe, minibar, deep soaking bathtub, rainfall showerhead, and complimentary Wi-Fi.